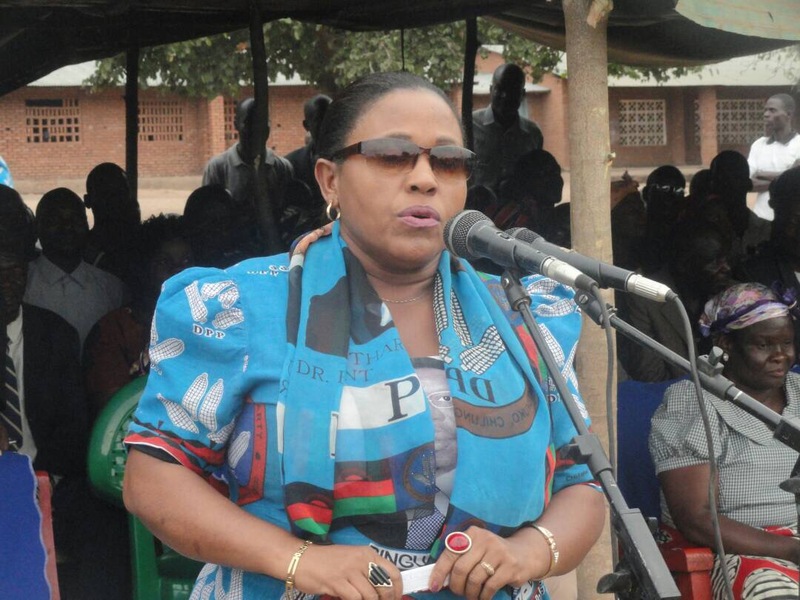 The Democratic Progressive Party (DPP) Griselda Jeffrey wa Jeffrey has asked Party cadets to stone a comedian Micheal ‘Manganya’ Usi and former Transport Minister Mohammed Sidik Mia if they happen to visit Mulanje. Speaking at Political rally on Sunday, where Former Minister of Agriculture, George Chaponda held in his Constituency in the district at Chonde. Wa Jeffrey emotionally said Usi and Mia are political diseases that need not to be associated with as they are busy painting DPP government black. Usi recently was barred from taking part in any radio plays through public stations, Malawi Broadcasting Corporation (MBC) after he made unhealthy nation address according to government. Mia is showing interest of joining Malawi Congress party (MCP). Anyone talks against government loses their safety, Wa Jeffrey is here as big mouth to speak painful truth to all political rebels within the party and to opposition seat. Patricia Kaliati in April this year lost her position as Minister of Civic Education, Culture and Community Development only she wanted to be bigger than Wa Jeffrey. Recently, Wa Jeffrey also stirred up tribal debate after she said openly that the country will never be ruled by any person from the northern.